Kolkata: A non-governmental organisation fighting for patients` rights in India pressed for an amendment to the Consumer Protection Act for disposal of cases of medical negligence through fast-track courts. “Inordinate delays in disposal of such cases has added to the mental torment and financial burden of ill-fated victims` families,” PBT President Kunal Saha told the media here. He conceded that the Act had played a major role in ensuring justice for medical negligence victims and acted as a strong deterrent against “negligent and unethical practices by doctors and hospitals”. “The inordinate delay in disposal of medical negligence cases is primarily because a large numbers of other consumer litigation mostly involving ordinary commercial disputes are clubbed together in the same roster along with serious cases like permanent physical disability or loss of human life against delinquent doctors/hospitals,” Saha said in a letter to NCDRC President Justice D.K. Jain (retd). 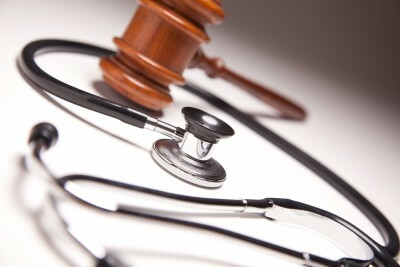 “Please take necessary steps for appropriate changes to deal all cases involving alleged medical negligence in a separate fast-track court to bring equitable medical justice within a reasonable time that may also go a long way toward saving lives of ordinary people and promote a better healthcare delivery system in India,” the letter said. The NGO, which observes May 28 as `Patients Day` to coincide with the death anniversary of a medical negligence victim Anuradha Saha, said “countless innocent patients are still dying every day in hospitals and nursing in West Bengal and across India due to gross medical negligence”. “Complaints against errant doctors are kept pending endlessly by state medical councils only to protect the guilty,” the NGO said.